Each month over the past 6 years, I have covered the sales race between the Ford Mustang, the Dodge Challenger and the Chevrolet Camaro. Starting with April 2018, my monthly muscle car sales will seemingly only include the Mustang and Challenger, as General Motors has changed their sales reporting from monthly to quarterly. This means that without an accurate number from General Motors, it is impossible to include the Camaro in the monthly sales race discussion. With this change, I will begin doing a quarter muscle car sales piece that you can expect to see starting sometime around the first week or July, but it appears that for now, the monthly muscle car sales report is only going to consist of two models. 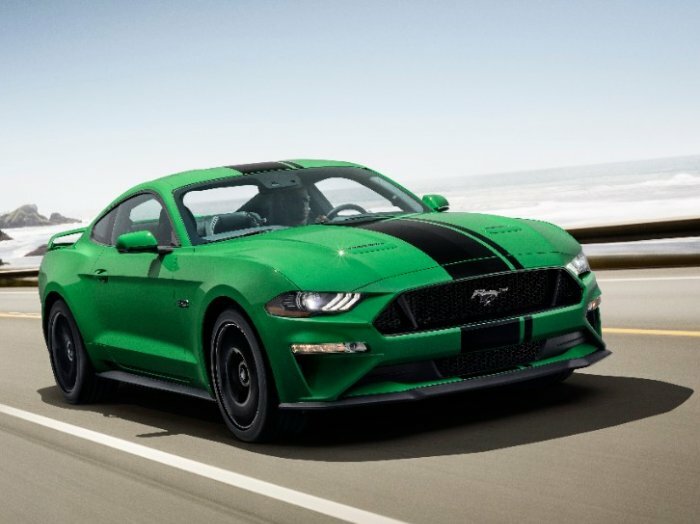 In April 2018, Ford sold 7,125 examples of the mighty Mustang, leading the Dodge Challenger at 5,892 units sold in the month. This is the second month in a row that the Mustang has beaten the Challenger after the Dodge grabbed the monthly title back in February. Ford also led the segment in January, but that has generally been the case more often than not over the past few years. Realistically, it will be tough for the Challenger to make a real run at the Mustang in the top spot, especially with this being the first summer for sales of the refreshed 2018 models, but strong sales throughout the rest of the year could allow the Mopar muscle car to grab the second spot for the first time in the modern era. After the first third of the year, the Ford Mustang has moved 26,289 units, leading the segment. The Dodge Challenger is second with 23,540 units. We will not know where the Camaro stands in the rankings until July, when the second quarter sales report for General Motors is issued, but without some big changes, we can expect to see the Camaro struggle to stay out of the third spot. Meanwhile, the Ford Mustang is lining up its fourth-straight annual muscle car sales title. I see GM's move to quarterly reporting as a two-edged sword. On the one hand, if the Camaro isn't selling well, I can see quarterly reporting. But if it should be a consistent second or an occasional first place in monthly sales, then I would want those figures published each month. It would be interesting to see the sales of just the mustang hard-top vs the Challenger. I understand that convertible sales help the mustang each month when compared to the Challenger (not fords fault, Dodge should have one) Also, the Challenger is a Muscle Car, not a pony car like the mustang but I understand there being put in the same category for this report.